According to studies made by Google, people really care about the speed of the web pages and want to be able to find their answers as fast as possible. Google was already using the page speed as a factor for ranking websites for some time, but the focus was on desktop searches only. A while ago Google announced a significant change in how it ranks websites for mobile searches. This was expected considering the fact that 60% from Google searches are done through a mobile device. Google announced this change to take place from July 2018 and will affect pages that deliver the slowest experience to the users. The “Speed Update” will affect any page with slow speed, regardless the technology used behind it. Google has been prioritizing page speed for some time now. In February 2016, Google began to push to the top pages using Accelerated Mobile Page (AMP) in order to speed up mobile rendering in the search results. More recently, the search giant began rolling out its mobile-first index to some of the sites to shift its overall search index to favor the mobile versions. This change is focusing on forcing the website owners to place the same information on the mobile website, same as the desktop versions - which is not a case today. This “Speed Update” is related neither to the content on the website, nor it is related to any requirements around AMP usage. Instead, it is about the general page performance, with a single goal to offer an overall better experience to mobile users, using Google over the mobile phone. Google didn’t announce a tool that will directly tell if the page is affected by this new factor, here are some tools that can be used to evaluate a mobile page’s performance. Page Speed Insights - is a tool that shows how well a page performs on the Chrome UX Report and makes suggestions what can be improved. This update is not the first time that the page speed has been used as a signal on Google. This has been the case with desktop searches as well for a long time. These mobile-focused changes by Google are critical for the company, considering that the majority of the searches are done via mobile devices, like smartphones. Is your website ready for Google’s “Page Speed” update? July is just behind the corner. Don’t fall behind on the Google search results. 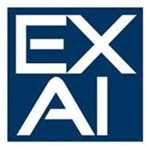 Exai follows every Google update and guarantees Google Page Speed score of 80+ for both mobile and desktop versions. With Exai you get a mobile version together with the desktop version, free of charge, with the exact same content. Join us by creating a new website or migrating your website to Exai’s platform. The choice is yours - we do all the work and deliver the website to you within 2 working days! SEO Is a Small Business Must - Get started!